One of the main new features of ASP.NET 5 is unifying the programming model and combining MVC, Web API, and Web Pages in single framework called MVC 6. In previous versions of ASP.NET (MVC 4, and MVC 5) there were overlapping in the features between MVC and Web API frameworks, but the concrete implementation for both frameworks was totally different, with ASP.NET 5 the merging between those different frameworks will make it easier to develop modern web applications/HTTP services and increase code reusability. 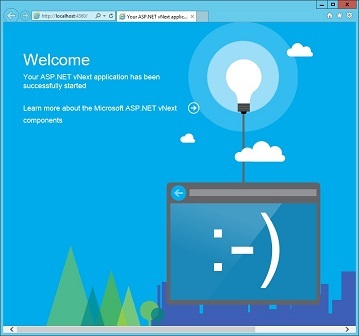 Using the ASP.NET 5 empty template to build the Web API from scratch. Overview of the new project structure in VS 2015 and how to use the new dependency management tool. Configuring ASP.NET 5 pipeline to add only the components needed for our Web API. 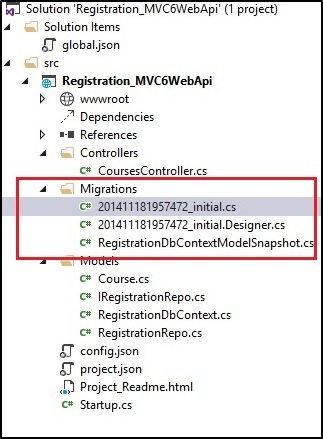 Using EF 7 commands and the K Version Manager (KVM) to initialize and apply DB migrations. To follow along with this post you need to install VS 2015 preview edition or you can provision a virtual machine using Azure Images as they have an Image with VS 2015 preview installed. Open VS 2015 and select New Web Project (ASP.NET Web Application) as the image below, do not forget to set the .NET Framework to 4.5.1. 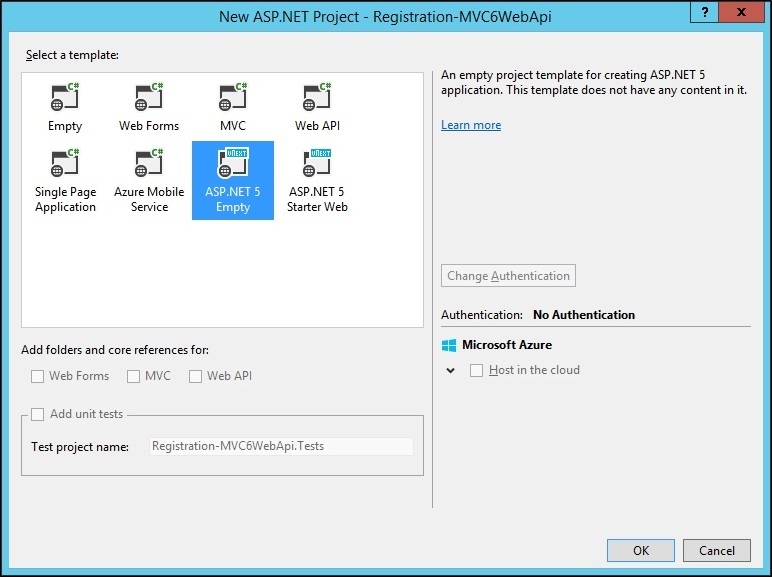 You can name the project “Registration_MVC6WebApi”. Now we’ll select the template named “ASP.NET 5 Empty” as the image below, this template is an empty template with no core dependencies on any framework. Once the project is created you will notice that there is a file named “project.json” this file contains all your project settings along with a section for managing project dependencies on other frameworks/components. Microsoft.AspNet.Server.IIS: We want to host our Web API using IIS, so this package is needed. If you are planning to self-host your Web API then no need to add this package. EntityFramework & EntityFramework.SqlServer: Our data provider for the Web API will be SQL Server. Entity Framework 7 can be configured to work with different data providers and not only relational databases, the data providers supported by EF 7 are: SqlServer, SQLite, AzureTableStorage, and InMemory. More about EF 7 data providers here. 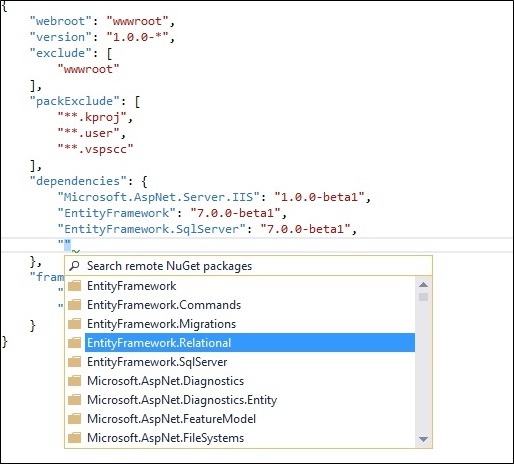 EntityFramework.Commands: This package will be used to make the DB migrations command available in our Web API project by using KVM, more about this later in the post. 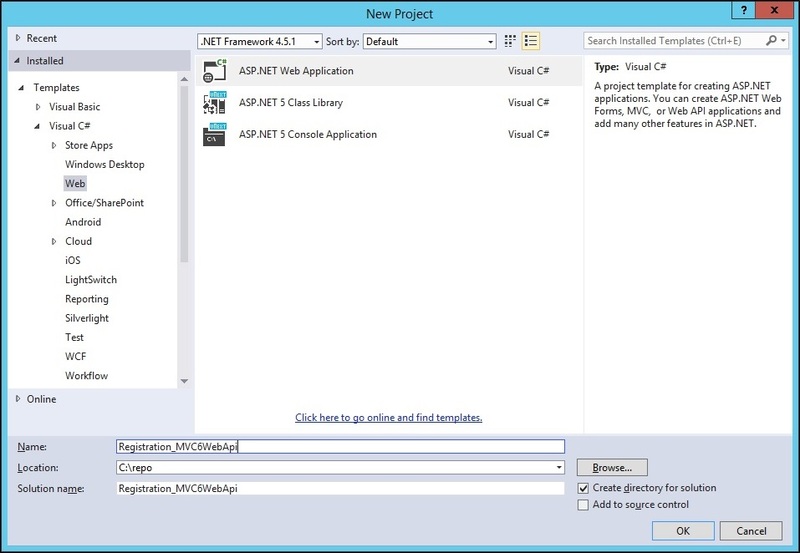 Microsoft.AspNet.Mvc: This is the core package which adds all the needed components to run Web API and MVC. Microsoft.AspNet.Diagnostics: Basically this package will be used to display a nice welcome page when you request the base URI for the API in a browser. You can ignore this if you want, but it will be nice to display welcoming page instead of the 403 page displayed for older Web API 2. Microsoft.Framework.ConfigurationModel.Json: This package is responsible to load and read the configuration file named “config.json”. We’ll add this file in a later step. This file is responsible to setup the “IConfiguration” object. I recommend to read this nice post about ASP.NET 5 new config files. We’ve added short prefix “ef” for EntityFramework.Commands which will allow us to write EF commands such as initializing and applying DB migrations using KVM. Now right click on your project and add new item of type “ASP.NET Configuration File” and name it “config.json”, you can think of this file as a replacement for the legacy Web.config file, for now this file will contain only our connection string to our SQL DB, I’m using SQL Express here and you can change this to your preferred SQL server. "Connectionstring": "Data Source=.\\sqlexpress;Initial Catalog=RegistrationDB;Integrated Security=True;"
Note: This is a JSON file that’s why we are using escape characters in the connection string. The constructor for this class is responsible to read the settings in the configuration file “config.json” that we’ve defined earlier, currently we have only the connection string. So the static object “Configuration” contains this setting which we’ll use in the coming step. We’ve added “EntityFramework” using SQL Server as our data provider for the database context named “RegistrationDBContext”. We’ll add this DB context in next steps. Added the MVC component to our pipeline so we can use MVC and Web API. Lastly and one of the nice out of the box features which has been added to ASP.NET 5 is Dependency Injection without using any external IoC containers, notice how we are creating single instance scoped instance of our “IRegistrationRepo” by calling services.AddScoped<IRegistrationRepo, RegistrationRepo>();. This instance will be available for the entire lifetime of our application life time of the request, we’ll implement the classes “IRegistrationRepo” and “RegistrationRepo” in next steps of this post. There is a nice post about ASP.NET 5 dependency injection can be read here. (Update by Nick Nelson to use Scoped injection instead of using Singleton instance because DbContext is not thread safe). Lastly the method “Configure” accepts parameter of type “IApplicationBuilder”, this method configures the pipeline to use MVC and show the welcome page. Do not ask me why we have to call “AddMvc” and “UseMvc” and what is the difference between both 🙂 I would like to hear an answer if someone knows the difference or maybe this will be changed in the coming release of ASP.NET 5. (Update: Explanation of this pattern in the comments section). Basically what we’ve implemented here is adding our Courses data model as DbSet so it will represent a database table once we run the migrations, note that there is a new method named “OnConfiguration” where we can override it so we’ll be able to specify the data provider which needs to work with our DB context. In our case we’ll use SQL Server, the constructor for “UseSqlServer” extension method accepts a parameter of type connection string, so we’ll read it from our “config.json” file by specifying the key “Data:DefaultConnection:ConnectionString” for the “Configuration” object we’ve created earlier in Startup class. Note: This is not the optimal way to set the connection string, there are MVC6 examples out there using this way, but for a reason it is not working with me, so I followed my way. The implementation here is fairly simple, what worth noting here is how we’ve passed “RegistrationDbContext” as parameter for our “RegistrationRepo” constructor so we’ve implemented Constructor Injection, this will not work if we didn’t configure this earlier in our “Startup” class. After we’ve added our Database context and our domain data models, we can use migrations to create the database, with previous version of ASP.NET we’ve used NuGet package manager for these type of tasks, but with ASP.NET 5 we can use command prompt using various K* commands. What is KVM (K Version Manager)? KVM is a Powershell script used to get the runtime and manage multiple versions of it being on the machine at the same time, you can read more about it here. 1. Open a command prompt with Run as administrator. 3. The script installs KVM for the current user. 4. Exit the command prompt window and start another as an administrator (you need to start a new command prompt to get the updated path environment). The second command will apply those migrations and create the database for us based on the connection string we’ve specified earlier in file “config.json”. Note: the “ef” command comes from the settings that we’ve specified earlier in file “project.json” under section “commands”. The controller is attribute with Route attribute as the following [Route("api/[controller]")] so any HTTP requests that match the template are routed to the controller. The “[controller]” part in the template URL means to substitute the controller class name, minus the “Controller” suffix. In our case and for “CoursesController” class, the route template is “api/courses”. We’ve defined two HTTP GET methods, the first one “GetAllCourses” is attributed with “[HttpGet]” and it returns a .NET object which is serialized in the body of the response using the default JSON format. The second HTTP GET method “GetCourseById” is attributed with “[HttpGet]“. For this method we’ve specified a constraint on the parameter “courseId”, the parameter should be of integer data type. As well we’ve specified a name for this method “GetCourseById” which we’ll use in the next step. Last thing this method returns object of type IActionResult which gives us flexibility to return different actions results based on our logic, in our case we will return HttpNotFound if the course does not exist or we can return serialized JSON object of the course when the course is found. Lastly notice how we are passing the “IRegistrationRepo” as a constructor for our CoursesController, by doing this we are implementing Constructor Injection. Add new HTTP POST method which is responsible to create new Course, this method accepts Course object which is coming from the request body then Web API framework will deserialize this to CLR Course object. If the course object is not valid (i.e. course name not set) then we’ll return HTTP 400 status code and an object containing description of the validation error. Thanks for Yishai Galatzer for spotting this out because I was originally returning response of type “text/plain” always regarding the “Accept” header value set by the client. The point below contains the fix. If the course object is not valid (i.e. course name not set) then we’ll return HTTP 400 status code, and in the response body we’ll return an instance of a POCO class(CourseStatusModel) containing fictional Id and description of the validation error. If the course created successfully then we’ll build a location URI which points to our new created course i.e. (/api/courses/4) and set this URI in the “Location” header for the response. Lastly we are returning the created course object in the response body. Add new HTTP DELETE method which is responsible for deleting existing course, this method accepts integer courseId. If the passed courseId doesn’t exists we will return HTTP status 404. Note: I believe that the IhttpActionResult response which got introduced in Web API 2 is way better than IActionResult, please drop me a comment if someone knows how to use IhttpActionResult with MVC6. That’s all for now folks! I’m still learning the new features in ASP.NET 5, please drop me a comment if you have better way implementing this tutorial or you spotted something that could be done in a better way. UseMvc is putting the Mvc in the pipeline actually making requests coming through your controllers. I don’t know why one would want to use one without the other, but I guess this is the result of decoupling. Ahhh that’s sound logical now, yes I do not find use case for using one without the other. The reason you call UseMvc separately than AddMvc is that AddMvc is where the MVC core services are added to the Dependency Injection system, and UseMvc is where MVC (specifically the routing middleware) is added to the pipeline. Since DI registration has to be completed before services can be consumed, the registration is broken into two steps. About IHttpActionResult – We are tracking two issues at the moment for improving action results for Web API scenarios. Feel free to respond here or comment on the issues. Thank Yishai for taking the time to read the post and for the clarifications. Now calling UseMvc and AddMvc separately makes sense. I’ve received a comment from David Fowler earlier today that there are minor issues on the code, you were able to spot them? Please let me know if you find any so I can update the post. You are really not returning Json or a String, instead you ask the content negotiation system to negotiate the result for you. By default this will return a text/plain content type with the string you passed. That’s not a typical approach for writing an API. Another thing to remember (and that is supported in Web API 2.x as well) is that you can just return an object from your method, and can mix objects and action results. In regards to the usage of action results in your code when you have to set headers and status code before returning the action result itself I believe resolving issue#1 with some more love will prevent the need to setting these extra values. I’m just going to reference this blog in the issue to make sure we covered these scenarios. Opt in with UseMvc is too verbose IMHO, because 99,9% cases people opt in anyway. I don’t really agree. In a demoware app yes it will work. In anything real it will not. – I want to explicitly chain another middleware ahead of MVC. – I want to register more services after MVC. I somewhat agree that we can consider moving the route configuration into AddMvc, and then the empty UseMvc just picks it up from there. Thanks Filip for taking the time to read the post, interesting discussion indeed. Thanks Again Yishai for your comprehensive feedback, post and code sample have been updated. للأسف لم استطع ارسال ايميل لك بهذا الخصوص . No problem as long you reference my original blog and state that it is a translation of an original work. EF6 (and I am assuming EF7) dbcontexts are not thread safe, so registering as a Singleton could cause some pretty weird errors if multiple people hit the WebAPI at once. I think that the repository also has to be registered as Scoped, otherwise you would get one global instance of the repository that has the same instance of the DbContext even though it as registered as Scoped. Hopefully some experts can educate us as to the proper registration pattern. Also, sorry for putting the other suggested changes of using localDB and adding a readme.md into that pull request. I was too lazy to go back and split them out into separate requests. This sure was another interesting one to read and experiment with. Concise and straight forward as usual. BTW Visual Studio 2015 CTP version is now available on line. It’s downloaded though I haven’t got time to install yet. Anyone has worked with the new CTP version yet? And I have seen DefaultControllerFactory. It does not contain virtual methods to overrride. I’m not sure what version of MVC6 you are using now, there are lot of changes happening on the MVC6. But if you tried to download my repo it should work without any issues. Your tutorials have been instrumental for me in becoming acclimated with so many new technologies, such as your Token Authorization series and now this great stuff on ASP MVC 6 and EF7. Keep up the good work…PLEASE!! Thanks Sam for your nice message, really glad to know that my posts are useful, will do my best to keep those posts coming 🙂 Thanks again! Did you realize your HTTP DELETE method is not shown here? That’s amazing. I like all technologies of .NET. Thanks Taiseer Joudeh very much. Great article, one of the best around about new .NET stuff. It was happening to me that I was getting a compilation on UseSqlServer on Startup.cs but was able fix it by adding the reference to Microsoft.Data.Entity (using Microsoft.Data.Entity; at the begining of the file) so maybe that was the reason the optimal way didn’t work for you. Thanks for sharing Nicolas, lot of changes is happening in ASP.NET 5 so yah I expect other way to implement the same feature. Having forked the source code locally and opened the solution, the dependency restore causes “dnx.exe has stopped working” app crash dialogs which repeat ad infinitum. I think I’ve just answered my question: upgrading to the latest version of the package has fixed the problem. Hi Arni, you are right, the post is bit outdated now. I need to download VS 2015 and check those errors, I have no answer now as I didn’t try it, if you solved it out then please share your findings here. Do you can show us how to implement a token authentication in a Web API with ASP.NET 5 using the current technologies? This is something, I’m going to work on after RC2. so maybe in February I will blog about this. Great tutorial, really got me started, however, I ran into nothing but problems because of DNX and new versions of pretty much everything to rc1-final. Any chance of an update? Project does no longer compile, automatic fix by VS 2015 creates errors without any known solution.